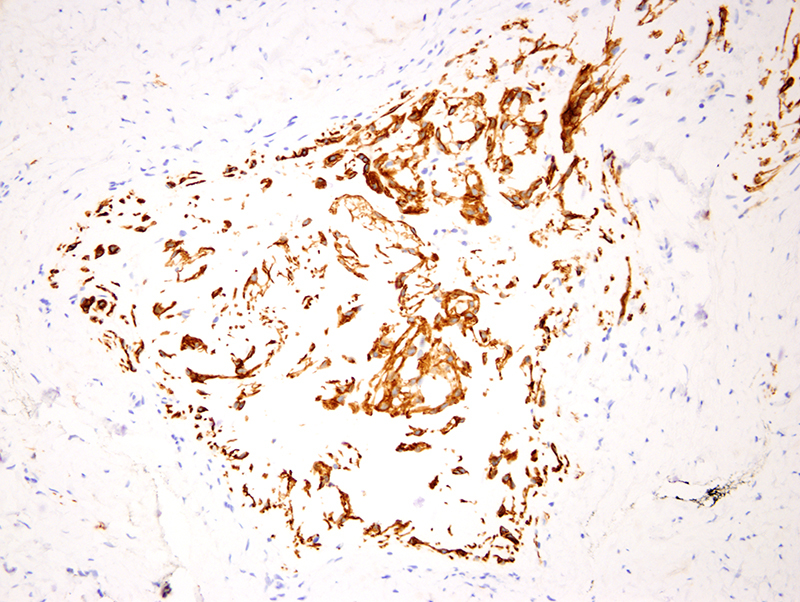 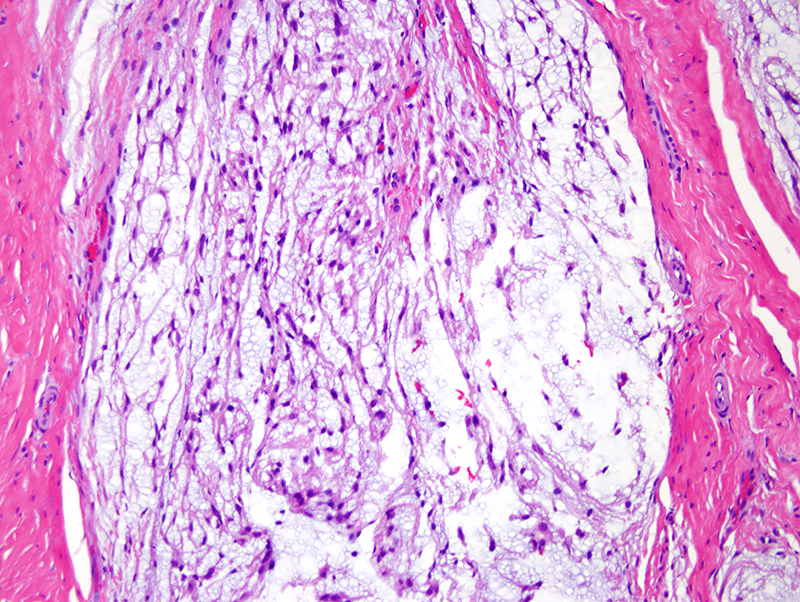 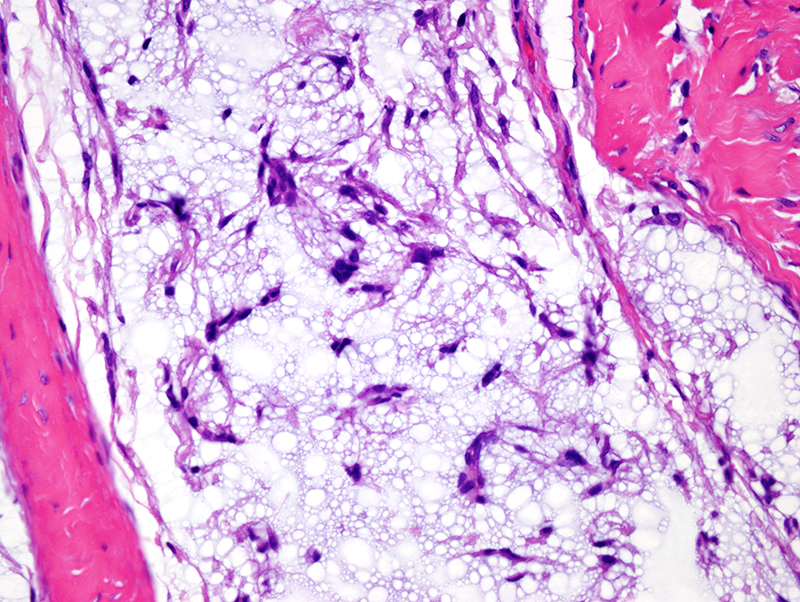 Nerve sheath myxoma is a rare benign tumor mostly encountered on the extremities in adults. 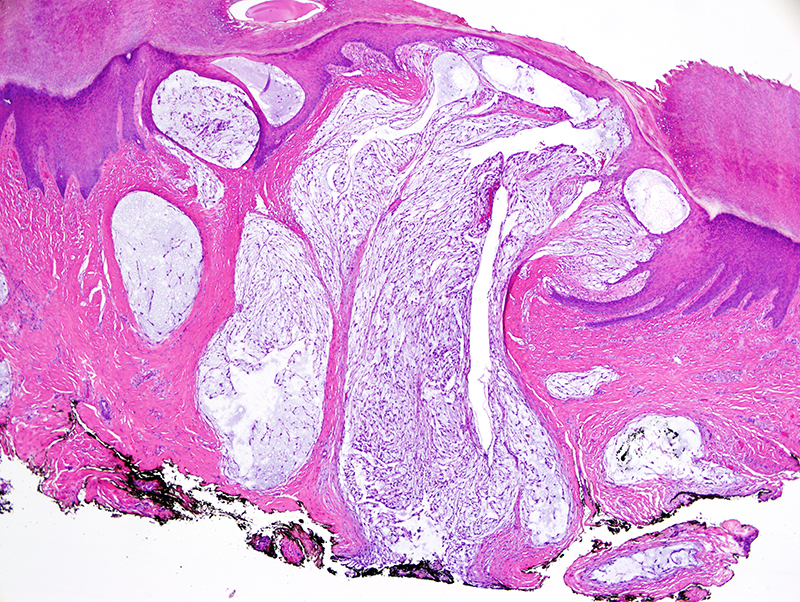 Rarely it can present intracranially, arise in the spinal canal or in the oral cavity. 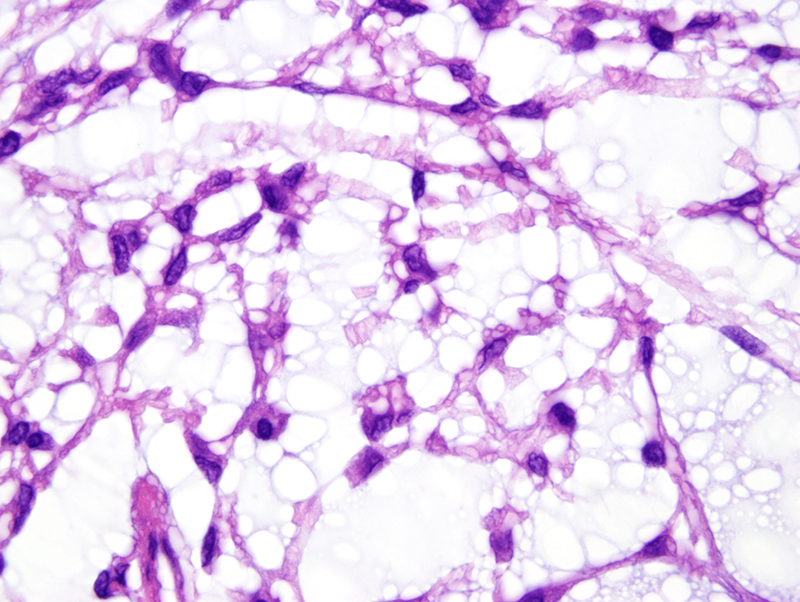 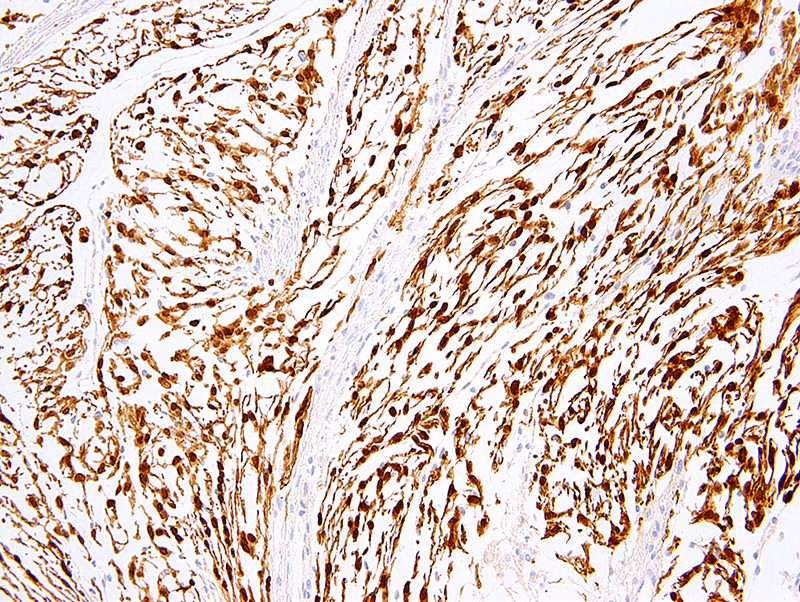 Tumor cells are spindled or oval, bland, grow in nodules and are set in a myxoid stroma.